In this article, we will guide you on how you can download the latest 2018 version of the GB WhatsApp application on your Android device. But before we get to that, you might be wondering what is GB WhatsApp 2019, and what’s so special about it that is driving people crazy to download it? Well, you are just about to find out in this article. Is GB WhatsApp 2019 Safe to Install and Download? GB WhatsApp is actually a modified version of the original WhatsApp application. This means the App has been modified to add some extra cool features which the WhatsApp doesn’t have. The best part about this App is that you don’t need your Android device to be rooted. With the GB WhatsApp messenger application, users can mark any message as unread or undelivered. Therefore, the sender will have no idea if you ever checked the message or has it ever been delivered at all. Users can change the online status to offline. If the sender deletes a message that they sent you, GB WhatsApp users can still see the delete message. With the App, users can hide their Messages for more privacy. So whenever someone opens the GB WhatsApp or WhatsApp application, the messages that had been marked to hide won’t be visible. If the user isn’t able to respond, it has an auto-reply feature that allows your Android device to respond to messages automatically when you are not available. The latest GB WhatsApp supports the new Android Oreo Emoji’s, which the original WhatsApp application doesn’t support yet. It comes with a feature called DND mode (also known as Do not disturb mode) that allows users to turn off the internet connection for the GB WhatsApp application. Therefore, whenever a user is listening to their favorite music on YouTube or when browsing around on the web, people that message the user won’t get annoyed. Images and Videos can be edited before they are sent, making good memories to be shared in a more enjoyable or funny way. Users can send hundreds of documents at once, while WhatsApp had a limit set for sending documents in Bulk. The App also allows users to make calls to unknown numbers that aren’t added to the contact list. Just like Viber, users can set a background/wallpaper for each user they chat with. GB WhatsApp also comes with a feature called “Contact Online Toast”, allowing you to see whether a WhatsApp user is online or not. Users can save WhatsApp stories that are shared by their loved ones. It’s hard to tell if the GB WhatsApp messenger application is safe to install and downloaded, since its made by a 3rd party coder. The GB WhatsApp application is originally developed by a coders group named “FOUAD MODS”. Therefore, the application is not made by the original WhatsApp developers. However, the application has been downloaded by millions of people around the world. If you are really worried, you can turn on your install an anti-virus like “Avast” to keep your phone safe. 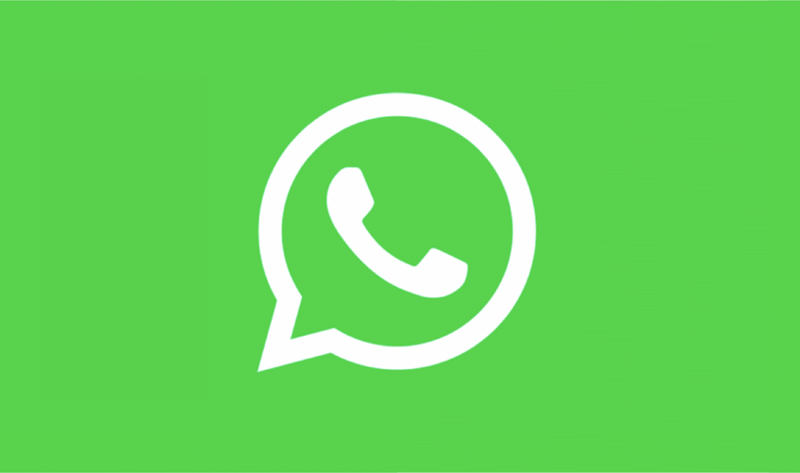 Download the latest GB WhatsApp 2019 application in APK on your Android device by clicking the download button provided in this article above. After the application is downloaded, tap on that file to start the installation process. Then you will be asked to install the application or not, simply tap on the “Install now” option displayed. Once the “Install now” option has been selected, it will take a couple of minutes for the installation to finish. As the installation finishes, you will be given an option to “Open” the application. Simply tap the “Open” option displayed. After “Open” is selected, the GB WhatsApp application will start to run and will be ready to use. Currently, GB WhatsApp 2019 is not available for iPhone or any iOS devices. We aren’t sure the Application would ever be released for the iPhone in the future. If you wish to transfer your WhatsApp data to the GB WhatsApp application, then you will need to get it done manually. Currently, there is no automatic backup copying system on GB WhatsApp 2019. We strongly don’t recommend you to transfer any of your data to GB WhatsApp, as data transfer is done manually, you may end up damaging the original WhatsApp files on your Android device. There, you should see the folder named “WhatsApp”. Rename the “WhatsApp” directory to “GBWhatsApp”. Once that’s done, go inside “GBWhatsApp” folder and you will see many folders like “WhatsApp Videos” and “WhatsApp Images”. Now you have to rename all folders inside the “GBWhatsApp” folder. This means you need to rename “WhatsApp Videos” to “GBWhatsApp Videos” and “WhatsApp Images” to “GBWhatsApp Images”. After that, Go open the GB WhatsApp application and you should get an option to “Restore Backup”. Hit the “Restore” button displayed and it should start to transfer your WhatsApp data. Again, we recommend you don’t transfer data from WhatsApp, as you may end up losing it. If you still would like to proceed, make sure a copy of your backup is saved on a computer. I hope this article has helped you get the GB WhatsApp 2019 application installed. If you got any questions or would like to share something, feel free to drop us a comment below.